A woman who shot her 14-year-old daughter and her husband in their San Carlos condominium, then stayed with the bodies for three days before reporting the deaths, was convicted Tuesday of two counts of second- degree murder. 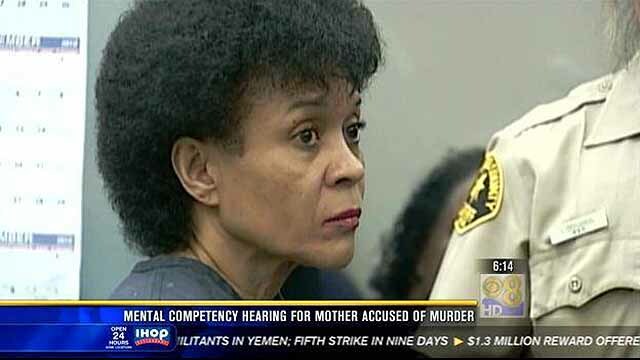 After deliberating over parts of three days, jurors found 60-year-old Regina Johnson guilty in the May 30, 2012, deaths of Aaliyah Johnson and Reuben Johnson. The jury also found true allegations that the defendant intentionally and personally discharged a firearm. She faces 80 years to life in prison when she is sentenced Nov. 17. Deputy District Attorney Nicole Rooney said the defendant and her daughter once had a good relationship, but circumstances in the house changed. Johnson testified that she shot her 56-year-old spouse after he killed their daughter, but Rooney told jurors that “objective” physical evidence belied the defendant’s story, from cell phone records that tracked her husband’s movements to bullet trajectories and a jar of petroleum jelly that the teen was holding. The bodies “were left to rot for three days while she thought of a way to get away with it,” Rooney said. She said the evidence showed that the defendant shot her daughter in the back of the head shortly after the girl took a shower and ate breakfast. After her husband came home from a doctor’s appointment and saw the body, the defendant shot him in the abdomen and then in the head, according to the prosecutor. “The objective evidence is that Reuben Johnson was executed as he sat on the floor helpless,” Rooney told the jury. Defense lawyer Neil Besse told the panel that while his client shot her husband, she was faced with the “unexpected” and “unthinkable” trauma of watching him shoot their daughter and was guilty, at most, of manslaughter. The physical evidence, such as blood spatter patterns, led to a lot of “guesswork” in the case, he said. According to testimony, the defendant remained in her home in the 7200 block of Navajo Road with the decomposing bodies until concerned family members from Washington state made an emergency call for authorities to check on the family. The defendant was described as being depressed over the loss of her job and her failing marriage. Aaliyah, meanwhile, was growing up, becoming more assertive and had a boyfriend, bringing new distance in the West Hills High School freshman’s relationship with her mother, according to trial testimony. The prosecutor said the gun contained the defendant’s DNA and her fingerprints were found on the weapon’s magazine. The defendant also got rid of shell casings and pills she was taking for depression, according to Rooney, and used lipstick to write a message to her doctor on a bathroom mirror. “You know I should not have been taking all those pills,” the message read.